What could an English journalist who died almost 100 years ago have in common with an Argentinian Jesuit drawn from ‘the end of the earth’ to the Chair of Peter? A lot! 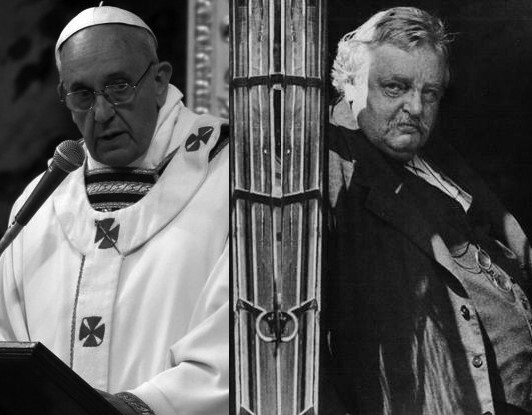 Tune in to A Good Habit this Wednesday, June 26th, to hear Dale Ahlquist, President of the American Chesterton Society, expound on the connection between GK Chesterton and Pope Francis. It’s sure to be a great show! This entry was posted in A Good Habit and tagged A Good Habit, American Chesterton Society, Dale Ahlquist, GK Chesterton, radio by texasnuns. Bookmark the permalink. Your first “official” guest…how exciting! I am so looking forward to the show! Much success!